Designed by Johanna Grawunder. Series of storage furniture in coloured reflecting glass available with or without lighting system (priced here without-please contact us for pricing with light). The horizontal parallelepiped drawer has a push-pull right or left opening system, the bottom of which is made of glass in the same finish as the outside. 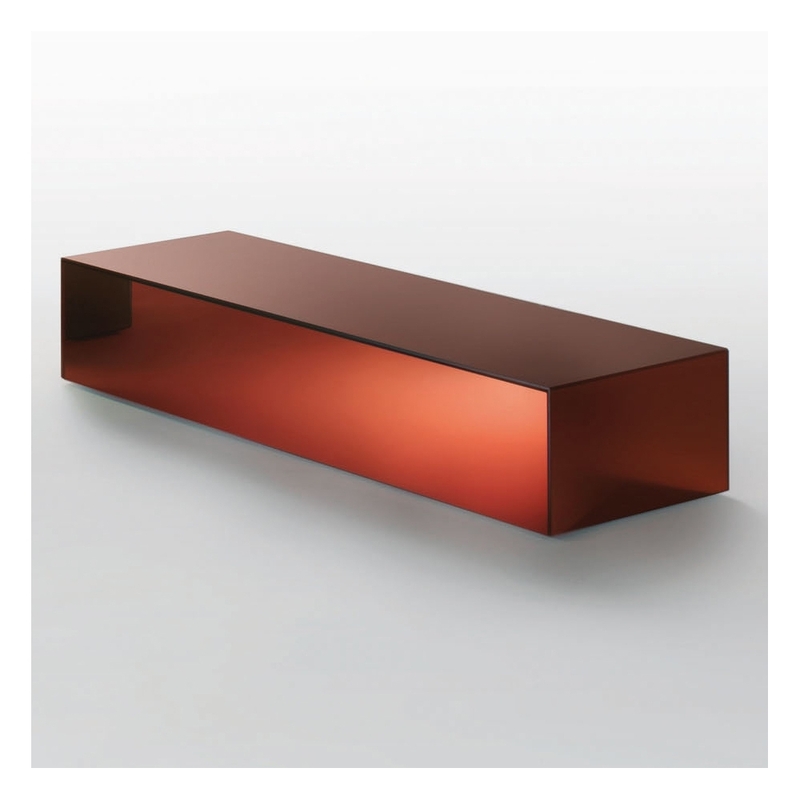 The cube and the vertical parallelepiped have instead a door with push-pull opening system and shelves in tempered transparent extra light glass 5mm thick. In the illuminated version, a hidden lamp emits a coloured and soft light outside the furniture, whilst in the version with the door it also illuminates internally due to a back in white glass which diffuses light. The inside of the unit is in dark brown oak. All versions are provided with wheels.